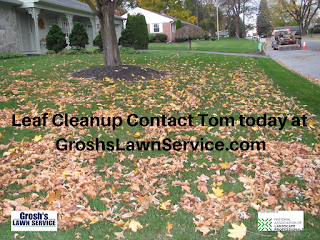 At Grosh’s Lawn Service we offer full service leaf removal to the Hagerstown MD area. We use Echo backpack blowers to blow all leaves and debris from landscape beds, patios, decks, driveways, along curbs and sidewalks and around all buildings. We also pick up any down tree limbs and debris as well. We bring in our zero-turn mowers that are equipped with mulching blades to shred up the leaves before they go into our state-of-art bagging system on our mowers. We them haul them to our trucks and trailers to haul away and remove all the leaves from our clients property. No messing with those brown paper bags. 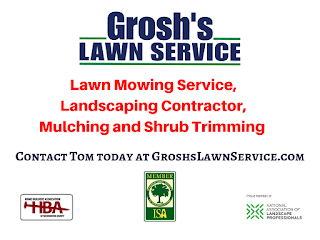 Grosh's Lawn Service offers weekly leaf removal for your home, rental property, office, nonprofit, commercial property and Church grounds here in Hagerstown MD and Washington County Maryland. 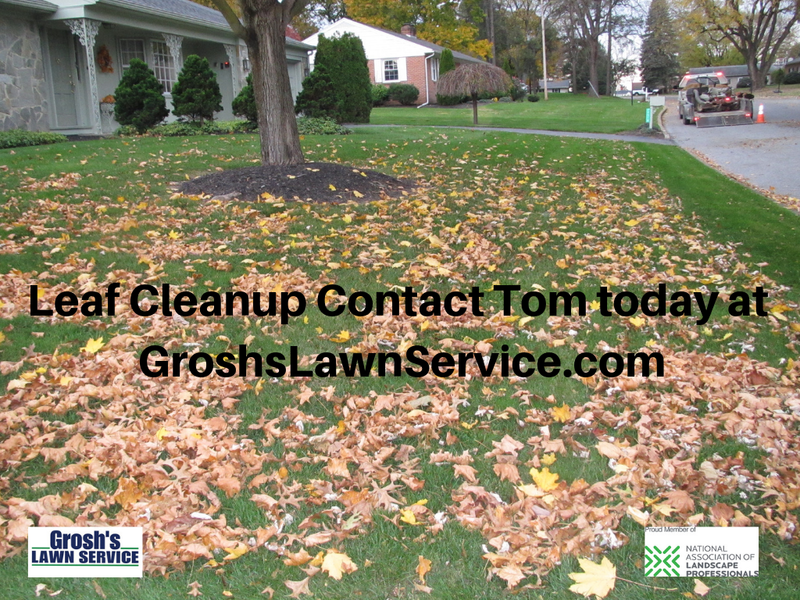 Contact Tom today GroshsLawnService.com to schedule your leaf cleanup.